OpenFlow is project coming out of Stanford University that offers a new way of using software to manage networks. The term “Software Defined Networking” sums it up. The question is whether OpenFlow will become mainstream. While Ivan at IOSHINTS isn’t so sure, I’m a bit more bullish. Here’s why. There are a number of key aspects of OpenFlow that may help to cross the adoption gap. The first is University networks are a perfect fit for this technology. Matt Davy from Indiana University has 4000 wireless access points and over 3000 switches in a single network – and managing the configurations on this network is a significant challenge. They see OpenFlow as a way to apply configuration more consistently to devices _anywhere_ in the network. And the educational kudos that a University can get from adding it to the CompSci PhD and master students means that more Universities are likely to jump on board. In my experience, technologies that Universities adopt and deploy tend to move into the Enterprise. And because Enterprise networks are reluctant to adopt new technologies, but something that has been proven in Universities can offer a level of comfort, provided that the gains from the technology are significantly valuable to their business. As protocol, TCP/IP isn’t very good at being billed. There isn’t any accounting data or extensions that assist telephone companies to charge by the packet. OpenFlow offers a framework that has opportunities for control, management and chargeback of data. At Interop, there has been significant vendor commitment. NEC is showing their switches and controller in a powerful demonstration of OpenFlow functionality. I’ve seen a very cool demonstration from Juniper on their OpenFlow implementation on JunOS being controlled by a BigSwitch controller. Cisco is part of the ONF, and I believe has previously demonstrated a C6500 in 2008 with an R&D OpenFlow implementation. It’s worth noting that existing software on networking products needs limited extensions to support OpenFlow today in the V1.1 form as the OpenFlow 1.1 specification is somewhat limited. HP has contributed a QoS actions – En-queue on a specific queue and Rate limit using a specific meter – to OpenFlow and have a the only major vendor providing hardware since 2008 (I think) via the ProCurve 5400 switch. KC: HP Labs developed the first commercial, hardware-based switch implementation of OpenFlow and demonstrated it with Stanford University at the ACM SIGCOMM conference in 2008. Today, HP has more than 50 academic and commercial researchers worldwide using our experimental software on HP’s current E8200zl Series, E6600yl Series, E5400zl Series, and E3500yl Series of switches. We are also a member of the Open Networking Foundation and will continue to be a key contributor and leader in advancing the standard. OpenFlow is still a couple of years from being used in Enterprise Networks but I fully expect it to arrive. With University networks acting as proto-Enterprise deployments, and 3G/4G carriers looking for solutions to traffic management at large scale we could see a technology that is coming from the bottom up and top down. With the Open Network Foundation now guiding the standards effort, and Indiana University offering interoperability testing, many of the process issues are also being addressed. 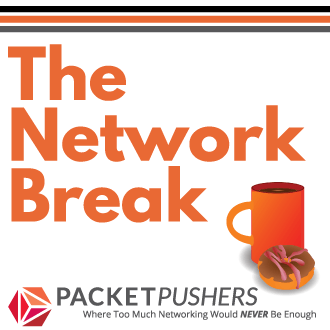 I’ll write more about the technology in OpenFlow in the next couple of weeks, but frankly I haven’t been this giddy about a networking technology is a long time. Moving from managing a discrete element set of network equipment to software defined network with programmatic interfaces offers a huge step forward for your business. If you want a simple metaphor, consider what VMware did for server – software management of server hardware and operating systems. OpenFlow is the same concept applied to network equipment, offer methods to shephard and manage our vast network sprawl. Give me a large portion of that, oh yes. Human Infrastructure for Data Networks. 25 year survivor of Corporate IT in many verticals, tens of employers working on a wide range of networking solutions and products. 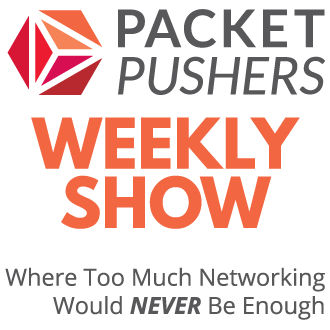 Host of the Packet Pushers Podcast on data networking at http://packetpushers.net- now the largest networking podcast on the Internet. I never said OpenFlow was bad, I’m just a (somewhat) vocal minority pointing out that it’s not more than TCAM download protocol. Even more, my inner geek is excited about all the possibilities, but I’m careful not to drink too much Kool-Aid, it might make your head spin. I don’t doubt it will arrive in the Enterprise. So did Linux (and a number of other things). I’m just telling everyone who’s willing to listen that a protocol that can manipulate forwarding tables in switches cannot possibly do all the things everyone is talking about. We need lots of software to do them (and it’s far from being available). I know very well why some vendors wholeheartedly embrace OpenFlow – writing communications software is R&D intensive (way more than soldering merchant silicon to circuit boards). Providing OpenFlow API on your switches and hoping that someone else will do the hard work (hopefully as open source, so it will be free) is easier than getting your hands dirty. I’m in the same camp as Ivan. Openflow seems to be little more than a programming api for policy-based forwarding at this stage. I’d like to see it work on a mission critical network with millions of flows on a bad day; university networks don’t count. Let’s throw inter-AS unicast and multicast functionality into the mix for appropriate comparisons. There’s something to be said for incrementally provisioned standards-based networks — I suspect that they are much easier to identify and remediate issues than a network that is governed by black box software. What’s missing today is a simple protocol and corresponding agents on VM servers and edge switches and a central VM location database that work together to dynamically update network/VLAN membership of edge [virtual] ports based on VM location. Let’s do that first before we decide that enhancing traditional networking is a dead end. Actually, that protocol exists. It’s called IEEE802.1Qbh. Check Ivan site for a good post about it. I can’t remember if I’ve written much about it, but it’s exactly what you describe. Unfortunately, VMware isn’t supporting it and actively promoting it. Cisco VM-FEX is a pre-standards implementation with a commitment to full Qbh support whenever the IEEE gets of the couch and gets it finished. Thanks for the info Greg. I wasn’t aware that 802.1Qbg allowed for VM-specific configuration information (such as VLAN) to be passed down from the EVB entity in the VM server to a EVB enabled switch. This is an important detail. It would seem that the EVB entity on a VM server can be implemented by a third party. Now the obvious question is why it’s taking so long for an implementation. I found Ivan’s http://blog.ioshints.info/2011/05/edge-virtual-bridging-evb-8021qbg-eases.html page to be a very helpful primer. The API is outstanding. ATT had in the past been working on a project where all the configuration and control of an entire network of routers happened centrally and the tool had some great features like being able to manipulate QoS on an end-to-end basis dynamically. MPLS traffic-engineering, IP routing, etc were all drag-and-drop affairs and policies of all kinds could be made to execute in response to various network triggers. Now with orchestration tools coming out of every major network vendor.. OpenFlow sounds good.